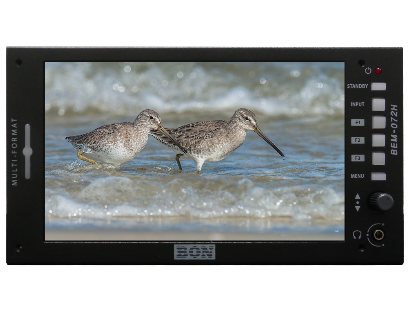 BEM-072H is a cost-effective high bright 7″ on-camera monitor that accepts SD SDI through 3G SDI. It provides clear view in sunlight by the 1100cd/m² screen. Additionally, a DV battery or V-Mount is attachable on the back. Find out more from the BON website.